A few weeks ago when I was in bed with the flu, I found myself being jealous of the people on Facebook posting about their summer adventures. Even little things like a photo of a homemade smoothie or a mention of a walk with a dog elicited envy. I wanted what they had. 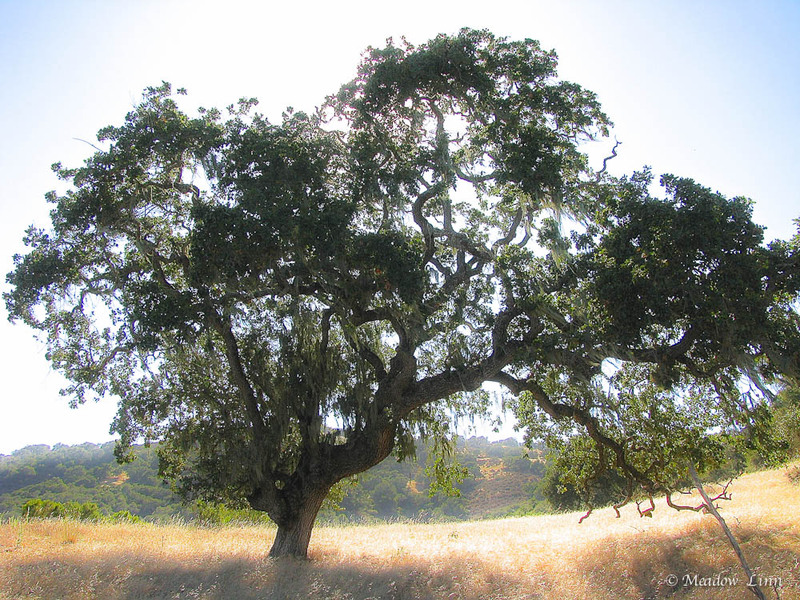 I wanted to experience the carefree feeling of summer, to swing for hours under a grand, old oak tree, dig my toes into the sand at the beach, and wipe the sweat from my brow as I sliced, diced, pickled, and preserved the bounty of a summer harvest. Instead, I had succumbed to a bowlful of cough drops and endless hours of Netflix. 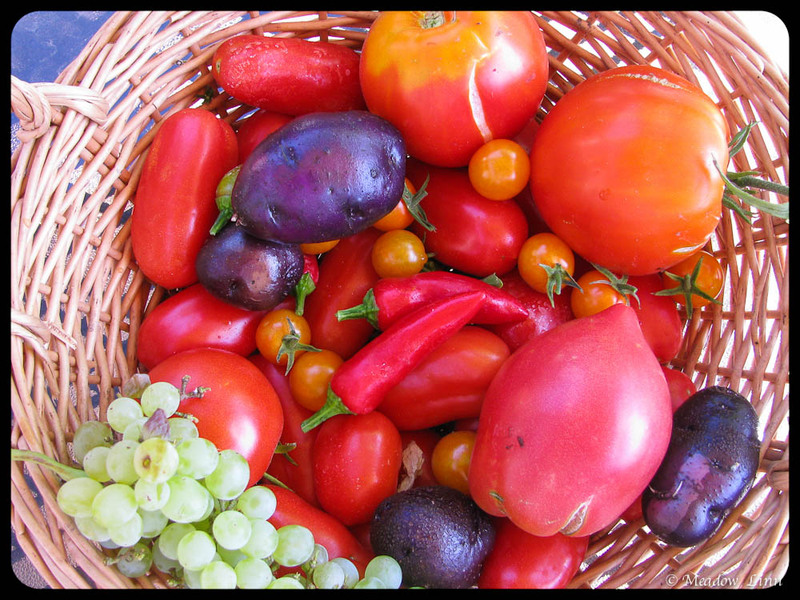 As I looked out the window at my garden filled with sun-ripened tomatoes, rotund eggplants, and colorful greens, as I heard the kids next door running through the sprinkler, and as I smelled my neighbor’s charcoal grill, I felt left out. Time was passing; yet, stuck in bed, I wasn’t able to experience summer’s bounty. As I began to get better, the world seemed filled with increased possibility, and I realized that summer is not just a season; it’s also a mindset. Summer is about freedom. In the summer, we hit the open road with the music blaring, the windows down, and our hair blowing in the wind. In the summer, we go barefoot and wear cut-off jeans. We can spend an afternoon watching water bugs at a creek and not feel like we’re wasting time. And we can go with friends to a concert under the stars and drink from a seemingly endless supply of beer. In the summer anything and everything feels possible. As we stand on top of a mountain, our arms spread wide, or look at a peach tree laden with juicy, ripe fruit, we can practically hear the wind whispering in our ear that we can do and be anything. When I was finally able to exchange the vitamin C and zinc lozenges for a crisp sauvignon blanc and crunchy cucumbers from my garden, I realized that I can create summer whenever I want. By being sick, I hadn’t actually missed out on as much as I’d thought. Sure, I got behind in my work and had to set aside plans to go hiking, but there are still so many ways that I can experience the season. 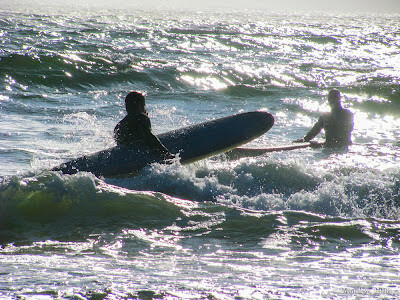 Summer is not just about the warm weather and long days. It’s about feeling expansive and free (a big reason why being stuck in bed felt so confining). Sharing meals with friends and savoring the moment can be done whether it’s 105 degrees outside or only 15. I’ve discovered that there is a powerful way to ignite the feelings of summer, whether it’s mid-August or late December. Believe it or not, food can be a catalyst for immersing yourself in the mindset of a specific season. When you eat a meal dedicated to the energy of summer, you fill your belly with not only the foods of the season, but also the way that season makes you feel. By creating such a meal, you will be inviting increased joy, expansiveness, and freedom into your life. Summer is romantic picnics in the park, backyard barbecues with family, and casual gatherings with friends. And for me, it wouldn’t be late summer without colorful heirloom tomatoes and fresh herbs. 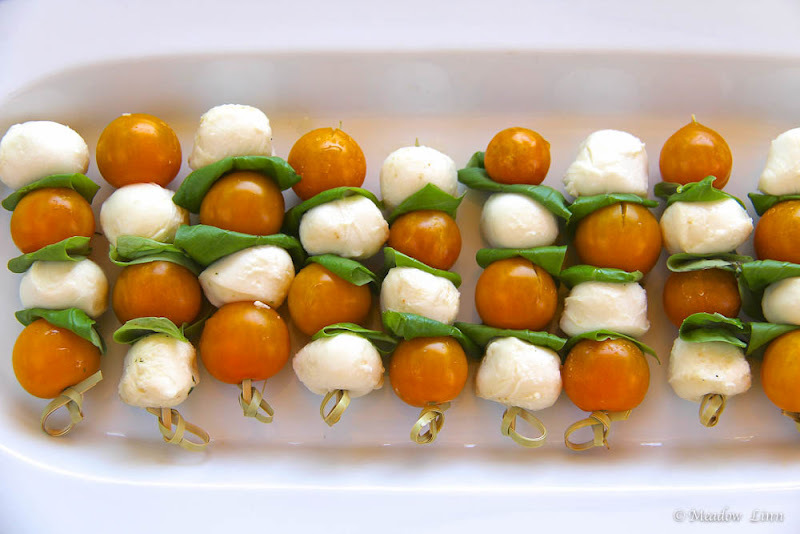 Caprese is a favorite Italian summer salad, but put it on a decorative toothpick, and suddenly you have an elegant (yet simple) appetizer for any summer gathering, no matter how fancy or how impromptu. Take a bite and welcome the energy of summer into your life. *Available at party outlets and some well-stocked grocery and liquor stores. I found mine at World Market. 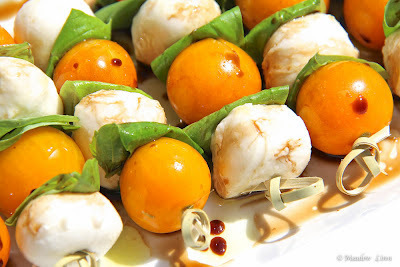 **In the photo I used sun gold heirloom tomatoes from my garden, but any variety will work. 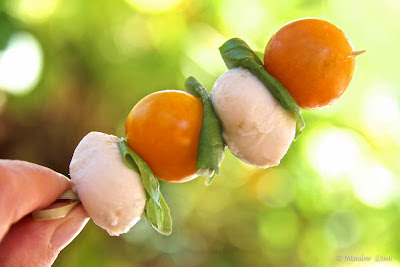 Plan two tomatoes, two mozzarella balls, and three basil leaves per skewer. Alternately layer the tomatoes and mozzarella on the toothpick and place a folded basil leaf between each one. Once they’re all assembled on a platter, lightly drizzle with olive oil and balsamic vinegar and sprinkle with salt. Buon appetito! You're right; it's about putting it all into perpective and then re-framing. Found you via your Mum on Hay House. Just wanted to stop by and say a cheery hello from London. We are in the GRIP of Paralympic Fever over here. Now, if ever there was a time to feel grateful for the lives we lead. Know how you felt though; you become consumed with the grottiness of flu, don't you. You quickly forget about the 360 days of the year that are healthy, bright and full of joy.